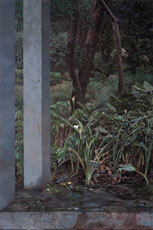 Michael Stevenson is pleased to announce an exhibition of recent paintings by Deborah Poynton. 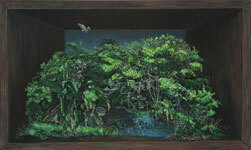 The central element of the exhibition is an installation of paintings entitled Arcadia which comprises 11 large paintings that hang together in one room. 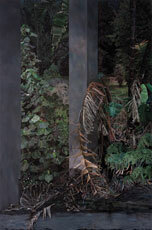 The installation creates the sense of standing in a decayed concrete folly at twilight and looking out through the pillars into a liminal, overgrown landscape that surrounds the viewer on all sides. 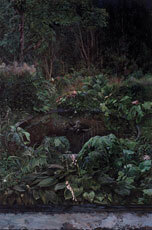 At one end of the room, in the half-light, a partly concealed car is parked with one door ajar, and at the other end, a decaying pond of dark water and reflection is like an unused door to dreams that are on the edge of memory. The scene recalls a secret garden full of threat and invitation, a wilderness that was once tamed into parkland and is now reverting to its natural state. 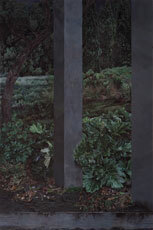 Arcadia is a pastoral idyll, a place where humans lived in peace with nature, impossible to re-enter. 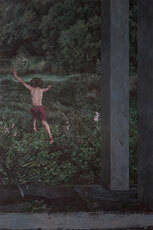 It is perhaps because it is a landscape of innocence that the only two figures included in the 11 canvases are children. 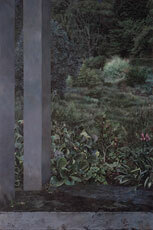 In this landscape the folly creates the illusion of a threshold, but it is just a framing device to convey the fundamental conundrum of the Garden of Eden. For man, to behold the world is to reduce or even destroy it, perhaps because it is otherwise too frightening, too empty of significance, and simultaneously too full of detail to comprehend. The phrase 'Et in Arcadia ego' resonates in this landscape because one is always aware that annihilation is present even in Arcadia. Everywhere it is as if something is on the tip of your tongue. You may sit for a long time and still not know what it is. In the meantime, there is consolation in beauty. I have always loved doll's houses. In those safe little rooms I could imagine an ordered world. I could look through the windows, back into the real world, and be a stranger to it. As I grew older, the walls of the doll's house became the edges of the canvas. 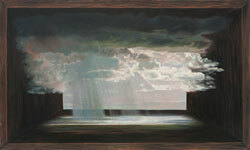 Paintings are the windows through which I regard life. 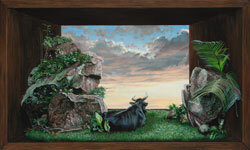 In this series of paintings, the insertion of an overarching box acts like the red rope stretched across the front of the diorama. It transforms landscapes into distilled miniatures. As in the addictive realm of the basement train-set or doll's house, time does not exist, there is no place for the body except in the imagination, and there is no connection to the outside world. It's shocking to realise that the world is only visible to us through these filters. But there is relief in it too. 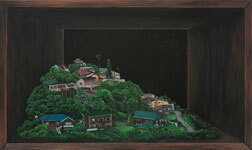 Inside the box, you can enjoy the idea that any representation is a formal pretence, a powerful illusion, a fantasy. 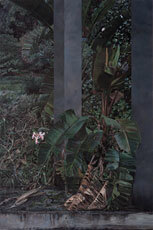 Poynton was born in 1970 in Durban and her youth was spent between South Africa, Britain, Swaziland and the United States. She studied at the Rhode Island School of Design in Providence, USA, from 1987 to 1989; since then she has lived and worked in Cape Town. 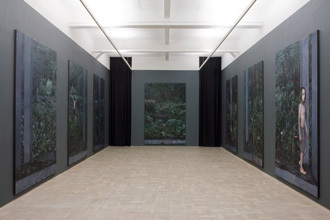 Her most recent solo exhibition took place at the KZNSA Gallery in Durban in 2010; in 2009 her work was the subject of a solo exhibition, with an accompanying monograph, at the Savannah College of Art and Design's galleries in Savannah and Atlanta, Georgia, USA. 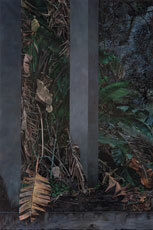 She has held solo exhibitions at Michael Stevenson in 2009, 2006, 2004 and 2003. 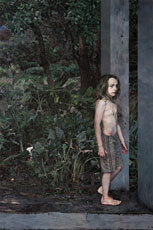 Poynton exhibits concurrently with Billy Monk and Rineke Dijkstra. 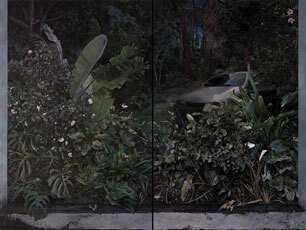 The exhibition opens on Tuesday 1 March, from 6 to 8pm. 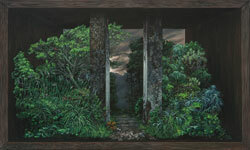 The gallery is open from Monday to Friday, 9am to 5pm, and Saturday from 10am to 1pm. 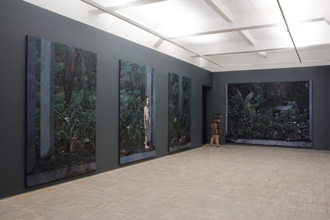 Click here to read the transcript of a talk by Deborah Poynton at Michael Stevenson, Cape Town, on 4 March 2011. © 2011 Michael Stevenson. All rights reserved.